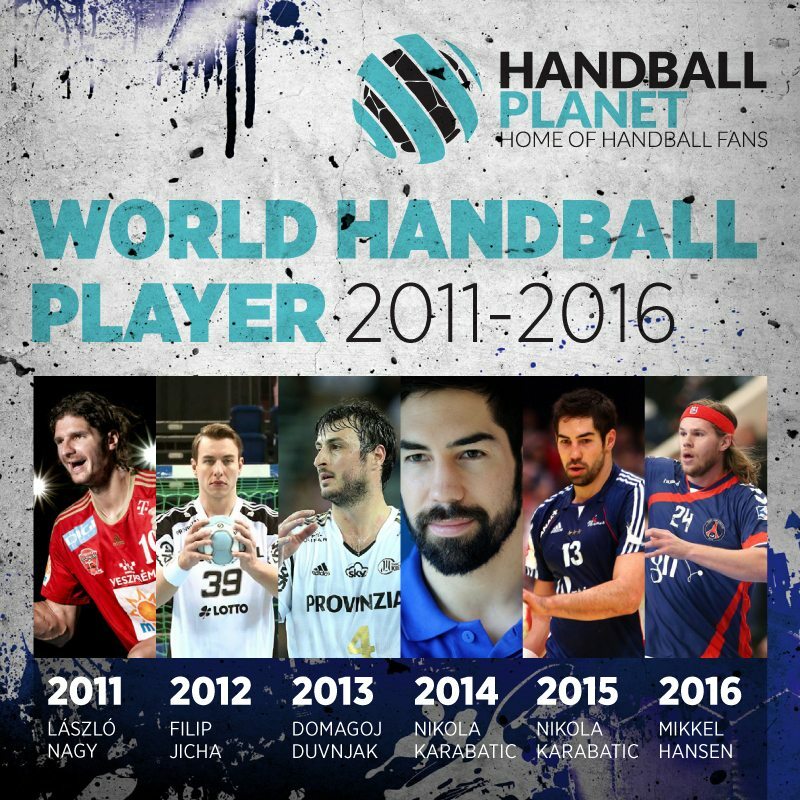 Handball-Planet.com is proud to announce the results of our traditional Contest for the WORLD HANDBALL PLAYER 2016. 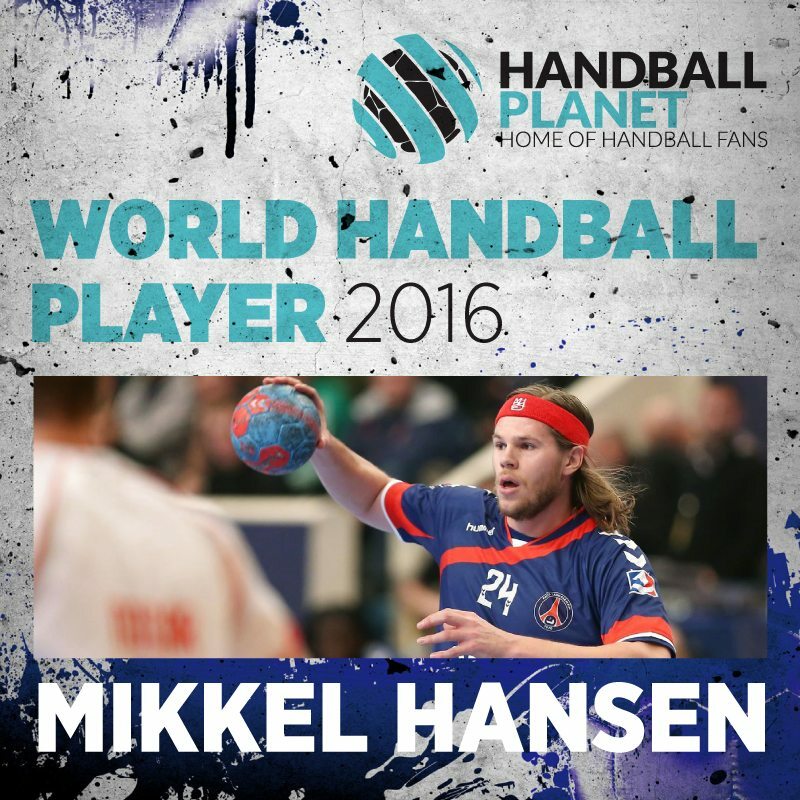 The Danish left back, PSG Handball super-star, Mikkel Hansen, has got the highest number of points based on cumulative votes of 33 members of the international jury of handball journalists and visitors of our website. His outstanding performance during the Olympic tournament in Rio, where Denmark won the gold medal in final over France, but also TOP shooting quality presented in EHF Champions League, where he was a TOP scorer of 2015/2016 season, were the best recommendation for this prestigious award. The 29 years-old Mikkel Hansen joined a group of winners – fantastic players who have been voted in years behind us – Nikola Karabatic (2014 and 2015) Domagoj Duvnjak (2013), Filip Jicha (2012) and Laszlo Nagy (2011). In three weeks of voting, all of 33 nominated players have got amazing support by the handball community. Handball lovers voted (104.862) for their favorite players in eight categories. Handball-Planet team want to thank all media, teams, TOP players, coaches and handball fans worldwide for making our project so big this year! Based on fantastic experience in the last three weeks, HP will soon announce the nominations for the WORLD FEMALE HANDBALL PLAYER 2016. ← Previous Story HANDBALL WORLD UNITED: 105.000 votes, the biggest support for Hansen! Next Story → Dutch girls and Biegler laides closer to semi-finals!